Along with eating, another thing I thoroughly enjoy when I travel, is sipping on the favorite local hot beverage. Sitting at my laptop, typing articles or editing videos, I continually need to be fueled by something warm, preferably full of caffeine, and constantly available. Sometimes I travel with my own coffee and tea, but I normally like to explore and then purchase a stock of whatever is available locally. Also, enjoying a hot beverage on the street-side, after a tummy full of delicious food, is a great way to top off a meal and let the food digest. Here are 5 hot beverages I thoroughly enjoyed, in countries that I have visited. After polishing off a greasy and delicious Chinese feast, or while sitting at my laptop, any variety of Chinese tea is one of the finest things to sip on. Tea plays a major part in the Chinese culture, and there are some serious connoisseurs. You can even have a tea ceremony or a tea tasting session, where you'll get to see the tea master steeping and preparing aromatic natural teas to perfection. One thing I love about Chinese tea is that all you have to do is pour hot water over the dry leaves, let them steep for a few minutes in a mug, and you're good to go. It's easy to prepare in a hotel room. Another one of the world's most tempting hot beverages is Indian chai. Black tea is steeped until strong with flavor, then toned down with thick, full-fat milk, and sweetened up with generous amounts of sugar. Chai on the streets of India is often poured into a cup from high above, so it bubbles up and has a little bit of frothy foam on top. Always served in small clay cups, that you smash on the ground after you're finished drinking, Kolkata was my favorite place in India to drink chai. After arriving in Argentina or Uruguay, it won't take long for you to be curious about a peculiar beverage, sucked out of a metal straw from a small gourd cup. A few days of traveling around, and I was presented with my first opportunity, under the supervision of a couple Argentinians I had befriended, to sample a beverage known as yerba mate – and I fell in love from my first sip! The leafy dry herb is filled into a gourd cup, steeped in hot water, and sucked out of a metal straw. I soon purchased my own gourd, a thermos for hot water, and carried my mate everywhere I went. 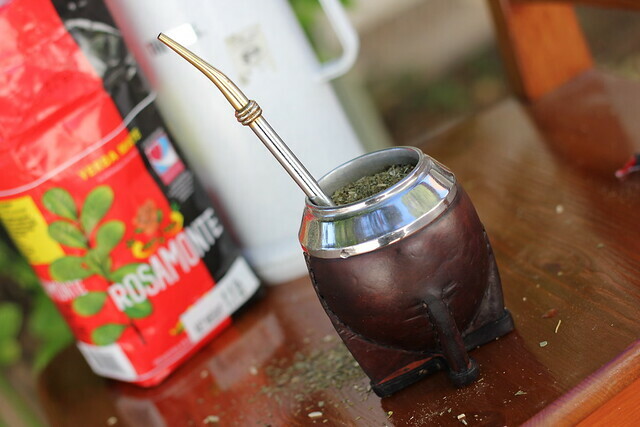 Note: Yerba mate is also popular in Paraguay, Brazil, and Bolivia, but I have only had a chance to visit Argentina and Uruguay so far. Going to Ethiopia, I was overjoyed to begin drinking the coffee. It didn't take longer than about 5 minutes, just after arriving to my hotel, when I got a full whiff of roasting coffee, and stepped into a tiny shack for a cup. It was awesome. My entire trip to Ethiopia was fueled by probably the most amount of coffee I've consumed each and every day of my life. It was affordable and so good every single time. 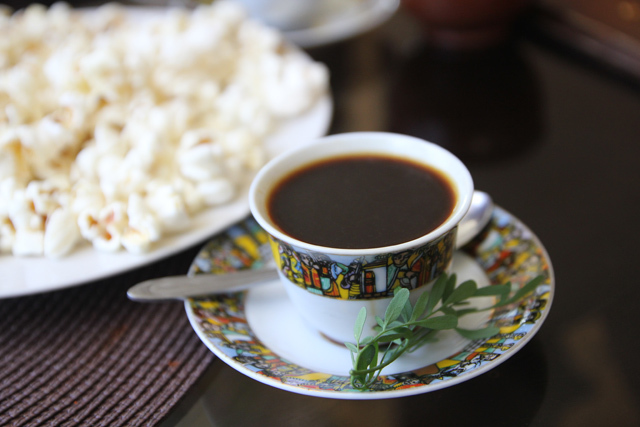 In Ethiopia, both European and traditional Ethiopian style coffee is available. Coffee in Vietnam is very different from coffee in Ethiopia. In Vietnam, they have an amazing and flourishing coffee scene, influenced originally by the French, but transformed the Vietnamese way. Pop a squat at a Vietnamese coffee shop, and you can either get a hot or cold strong black coffee infused with sweetened condensed milk. It's chocolatey, creamy, and sweet, and offers that power shot of energy you need to walk around or get work done. This is just a sampling of all the wonderful hot beverages available when we travel. Just about every single country in the world has their own version of a hot beverage, so if you have a favorite, please feel free to leave a comment below! 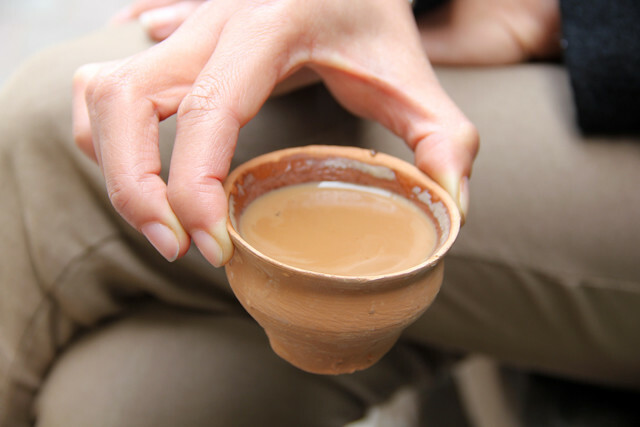 In India, Chai is not served using a small clay cups. Small clay cups may be used in some area s of Kolkata. The Small Clay Cup concept was also introduced into Indian Railways for serving chai for reducing the use of plastic cups, but was scrapped later. Chai is mostly served by small glasses, small cups in almost every part of india. Thanks for the correction, perhaps “always” should’ve been omitted from Mark’s comment. Most of my chai teas on the street and in trains were served in the little plastic cups. Have checked two off the list – coffee in Vietnam and Yerba Mate in Argentina! Huge part of the culture there. Had my first iced coffee in Vietnam and it’s been hard to give it up ever since. Love this post…always, always on the lookout for good coffee! Best coffee I ever had was in Cambodia. Sweetened condensed milk makes it so delicious. Great post.. I am a big espresso and coffee fan.. not a huge tea fan, but I am interested in Yerba Mate – is it more of a coffee or more of a tea? I have heard in can be prepared in a french press or a tea infuser.. Never had it, but would love to give it a try! Yerba Mate is a tea, and tastes like one. Sugar is often added, as it can be quite bitter without it, unlike many other types of tea (green, white, black).